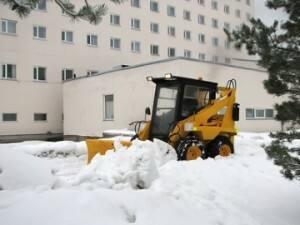 We offer full service for all commercial properties for snow and ice management along with 24 hour and on call services. Our staff is fully trained on snow equipment operation, on-site troubleshooting and safety. We begin our process by mapping out our snow removal plan for your property, once the approved plan is in action we stake out all fire hydrants and obstructions on your property. 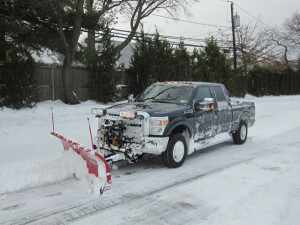 We have an extensive line of snow removal equipment such as: Commercial trucks with plows, tractors with front in loaders, skid steers, walk behind snow blowers (to clean sidewalks) and salt spreaders. We apply the same attention to detail in our snow and ice management service as we do to our landscaping services which has made us a leader in the landscaping industry.